Superb new Woodsman's Axe from Hults Bruks Sweden. 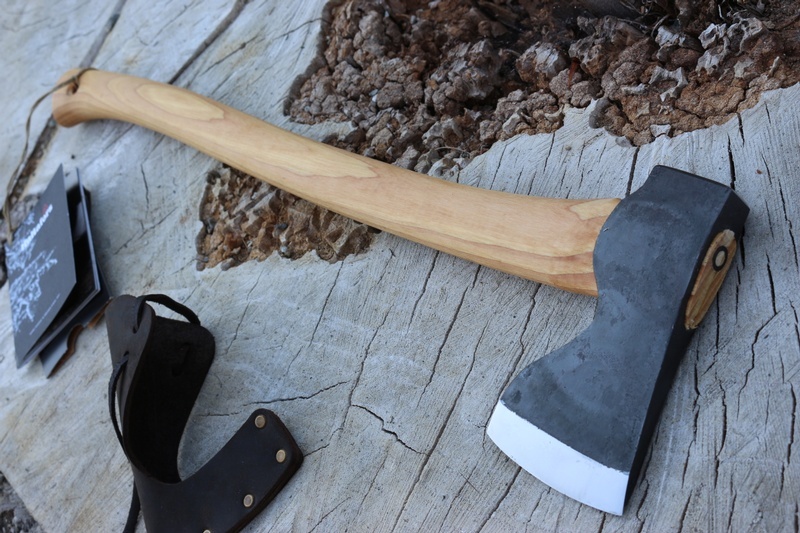 The Aby combines the classic and practical virtues of the Carpenters Axe head (deep incut for choking up and straight cutting edge for precision cutting) with the handle length and head weight of a classic Forest Axe. The result is a superb hybrid that is packable, has lots of power, yet is precise and highly controllable. 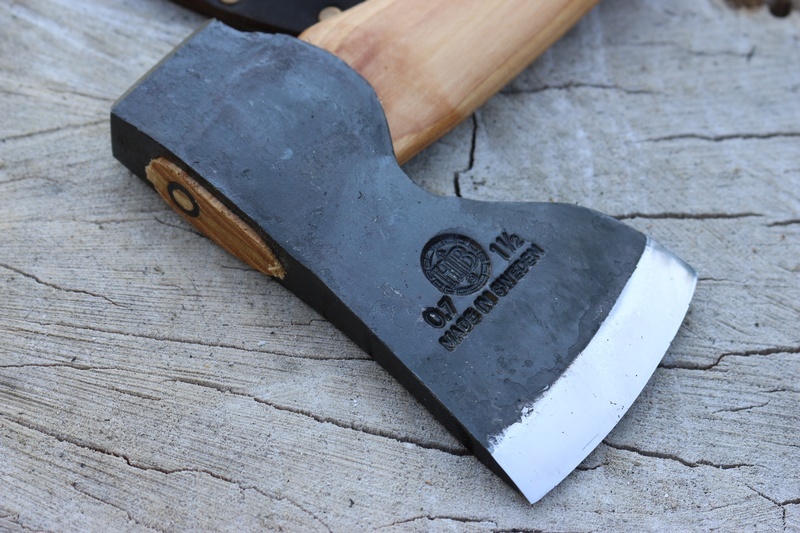 The Swedish hand forged carbon steel head is tough and has a great edge (58HRC) and the overall feel of the axe is of a well balanced, well thought out and well made tool for the Woods. 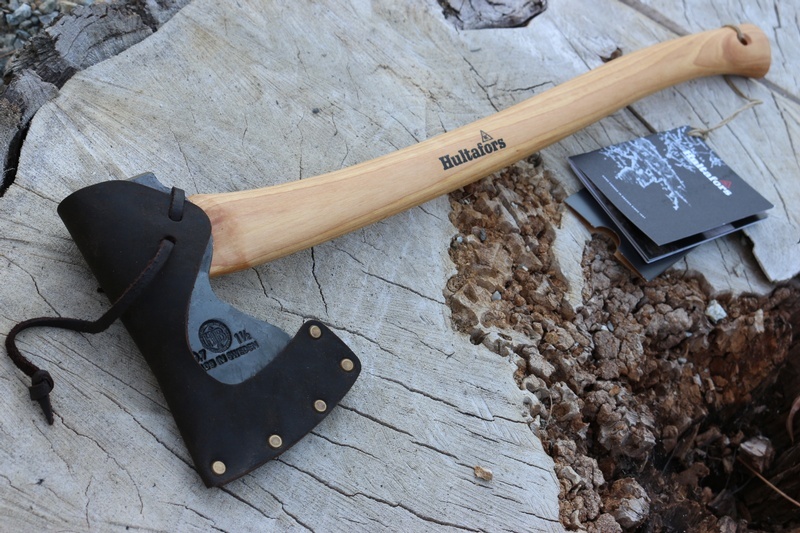 Purchase through PayPal by using the "Add To Cart" button above or use the form below to order the Hultafors Forest Aby . 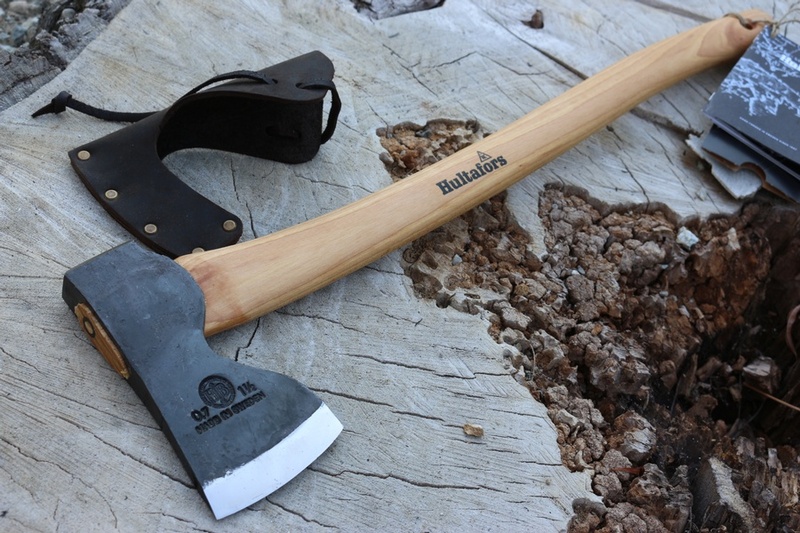 Feel free to contact us if you have any questions about the Hultafors Forest Aby .